Odunpazari Modern Art Museum is to exhibit the owner’s collection of Turkish modern art. The Museum is planned in the city of Eskisehir where the owner, Mr. Erol TABANCA was born and raised. The project is to realize the owner’s ambition to promote Turkish art and to make cultural contribution to the city of Eskisehir. 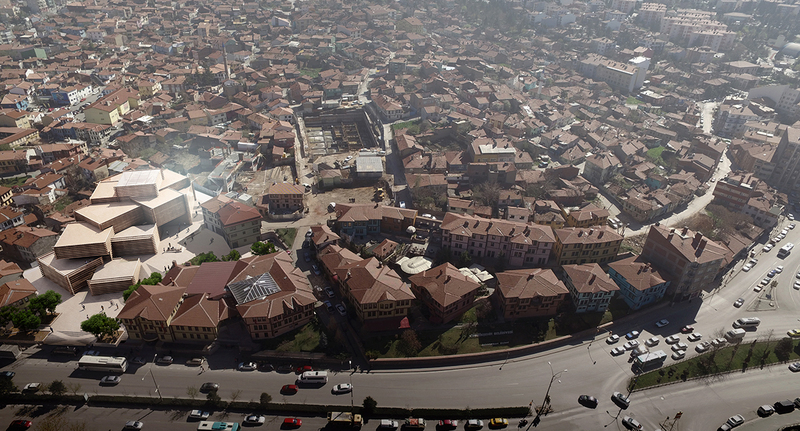 Eskisehir is known as university town where young population is large and the city has lively and active atmosphere. The site is in the area called Odunpazari. It is situated at the threshold of newly developed urban area and small scale town scape of traditional Ottoman wooden houses. These wooden house, with cantilevered volume at upper level, were built in lines along the meandering small streets that makes the street scape and walk though experience quite unique and unexpected. We aim to reflect this street scape quality into the new architectural design of the museum that stands in the urban scale. Our design strategy is to make the volume in aggregation; stacking small boxes to create the urban scale architecture. 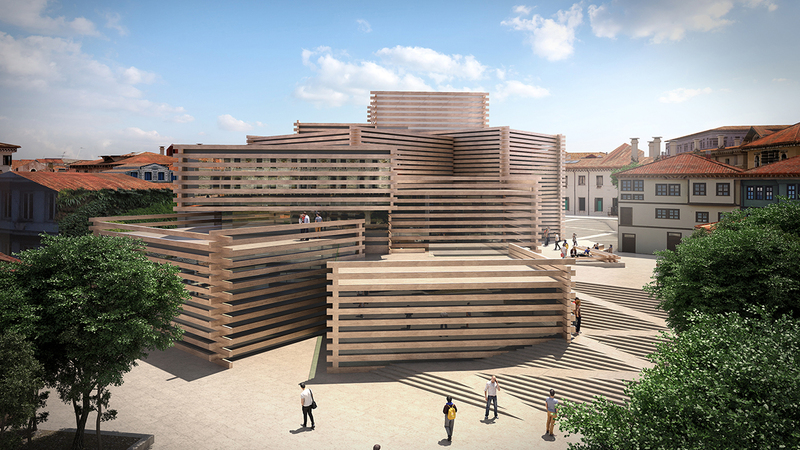 Stacked boxes at the street level is read in the scale of surrounding houses and it grows taller towards the center of the museum to stands in the urban scape that announces itself as new cultural landmark of the area. The stacked and interlocked boxes are designed in various sizes to create diverse scales of exhibition space inside. 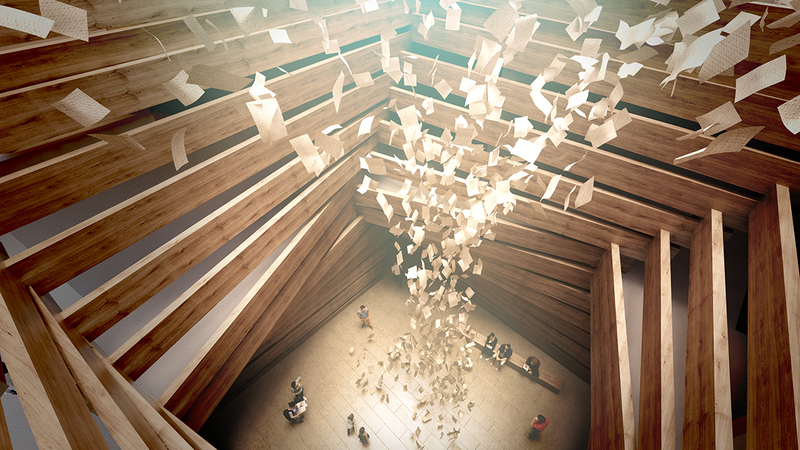 Boxes at the ground level offers opportunities for large scale art works and installation. The boxes get smaller at upper levels to exhibit smaller, intimate scale art works. 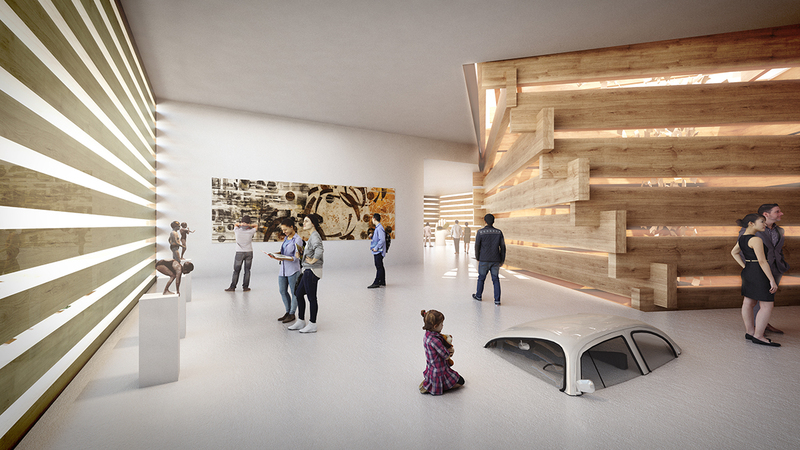 The central atrium, composed with timber blocks, connects each level to let the natural light through skylight above. The name of this area “Odunpazari” means “wood market” in Turkish. 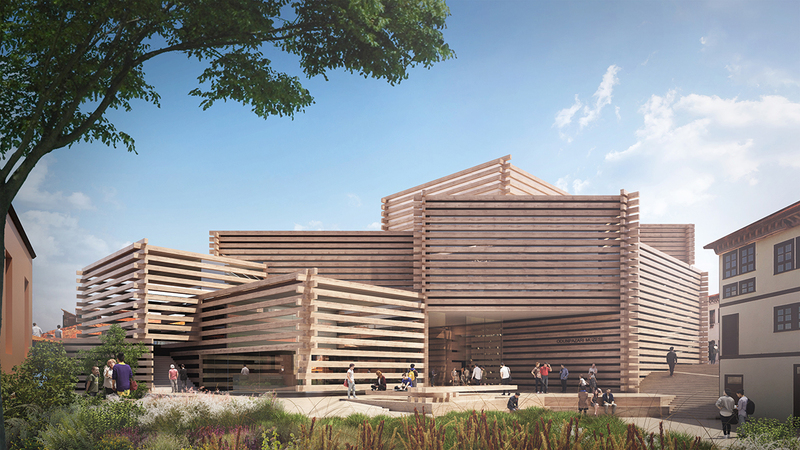 The exterior envelop of the museum is composed with timber in full extent signifying the history and memory of the place that used to function as market in trading wood.